12 July 1961 – this fateful day will remain forever etched in Pune’s history. A day that changed the history and geography of this great city. Call it a bad coincidence – but two events that happened almost exactly 200 years apart have played a critical role in Pune’s history – to the extent that they have been added to the local Marathi lexicon. The first one was the 3rd Battle of Panipat in 1761 and the second one: the Panshet flood. “पानिपत झालं” (Panipat zala) and “पानशेत झालं” (Panshet zala) are commonly used terms today to refer to a big disaster. A valiant last-ditch effort by the Army Jawans managed to delay the inevitable by a few hours. These few hours helped a lot. If not for this great effort, where thousands of sand bags were deployed, the dam would have burst in the middle of the night, creating havoc for the sleeping residents of Pune. The few hours delay meant that the burst happened early morning and the wall of flood waters reached Pune later in the morning. The deluge of flood waters of Panshet also broke the smaller Khadakwasla dam, further downstream. Residents started getting some warnings early in the morning and the authorities started moving out the residents living near the riverside. Many residents fled to higher grounds, some all the way to the Parvati Hill. Apparently, All India Radio did not broadcast any warnings, and was playing a regular scheduled music program when the floods struck. The low lying areas of the old city were almost completely submerged. Except for the Bund Garden Bridge, all the bridges were under water as well. Water rushed into the old ‘Peths’ and along Karve Road, Deccan Gymkhana areas. For many hours, the high water levels persisted. Roughly speaking Panshet water reservoir stores enough water for all of Pune’s city needs today (today’s needs are probably 5-10 times more than the 1960s requirements). Imagine all that water being drained out in just a few hours! To give you an idea of the level of the water, just visualize the first floor of Abasaheb Garware College (MES) on Karve Road, nearly completely submerged! Some people and rescue workers were trying navigate Deccan Gymkhana, FC/JM Road areas in small boats. The water levels finally started falling by late night. The floods completely cutoff the electric and water supply. July 12th was a dark, rainy night in Pune – with rumors still doing the rounds. Some of them pointed to more floods on the way… (even though the dams had been drained empty by then..). When the flood-waters receded, they left behind a trail of destruction and a muddy mess. The cleanup and rebuilding took many months. The old riverside city landscape changed forever. New localities (such as Lokmanya Nagar, Gokhale Nagar, etc.) were setup to resettle some of the flood affected citizens. Most of the bridges were damaged and needed fixing and in some cases complete rebuilding. With Khadakwasla and Panshet dams completely drained, there was no water supply for the city. The Peshwa era Katraj water aqueduct was used to meet some water requirements. Wells were another source. Wadas that had wells had to prominently list ‘Well’ on their main door – so that, the water source could be be made available. I have found a series of good articles about the Panshet flood disaster, including many firsthand accounts. Some of these links are listed below. I will continue to add more links here. If you come across any good articles, do let me know. Also if you have personal memories from your own experiences, or from your friends & families, please share them here in the comments section. 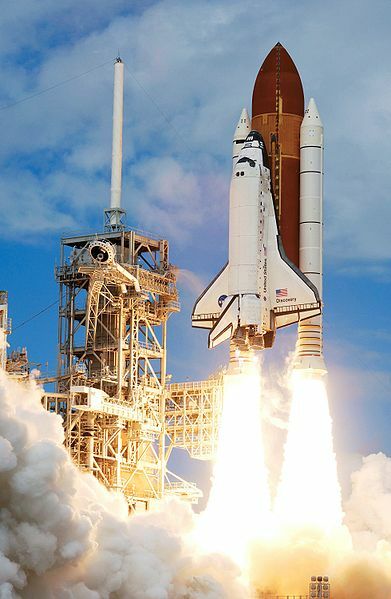 Just watched the launch of STS135; the lift-off of shuttle Atlantis on the last space shuttle mission. Two weeks from now, Atlantis will touch down one last time and bring an end to 30 years of Space Shuttle Flights. An end of an era. I must have watched dozens of shuttle launches live on TV, but regret not having had the opportunity of watching one in-person, in Florida. All of them were great to watch (especially the ones I saw on NASA TV). The complexity of the machine, the mission control center interactions, the sheer magnitude of engine power, the grandeur of lift-off… fascinating! Overall, the shuttle program has been quite successful, apart from the two tragedies of Challenger in 1986 and Columbia in 2003. Most of the other missions went through without any major issues – to the point that these missions were felt as really ‘routine’. Like was the case with the Apollo Program nearly 40 years back, budget cuts have played their part in ending the shuttle program. The debate between cost-benefits of manned space flights will continue. Travelling to Mars is a possible long-term goal, but definitely not in the near future. In the medium term, some alternatives have been proposed, which aim to address some of the limitations of the space shuttle. Still, no firm plan exists today. Leaves me wondering when the United States / NASA will return back to manned spaceflights. For now, the International Space Station will be served by Russian spacecrafts. Feels a bit odd that half a century since John Glenn’s historic flight – the United States doesn’t have a firm manned spaceflight roadmap. At least they should have planned for a few more shuttle launches, until the medium strategy was ready and set for deployment!